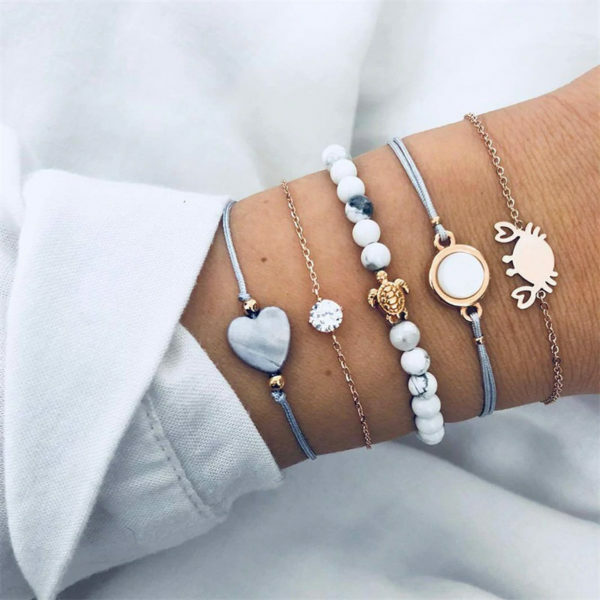 Our Boho Crab Bracelet Set of 5 can be a simple or ornate accessory that shares your love of the tropical lifestyle! 5 Bracelets are included in this set and are able to be worn together or separately. These bracelets feature beads, charms, and chain link closure allowing you to adjust the size to fit just right.